There are reasons; many companies are transforming their Word Press sites into a highly efficient and responsive marketing tool. A Word Press blog is no longer just a company portfolio sitting silently on a domain for years. Your company blog should work for you in increasing your business popularity and online presence of your signature products. This is why you need revolutionary online marketing strategies and ultra-responsive Word Press Development for strengthening your online dominance over others. The majority of online traffic prefers to surf the web according to the latest trends and technologies. You just need to capture this wave and channel it directly to your Word Press blog with the help of a professional Word Press Developer. Clean but captivating layout According to the latest Word Press Development trends, your company blog should look clean and free from any unnecessary and annoying banners, ads and pop-ups. People hate these things and they will never come back again if you try too hard to convince them for an unplanned purchase. You should rather be more appealing and welcoming in your attitude and the same should be reflected in your website layout and design architecture. A website should act like a friend and not a salesman to the viewers. Maintaining the right business attitude is the key to get the desired response and eventual sales. Consider the demands In the online marketing field, you must adhere to a totally different approach, unlike the way you train your in-house sales person for counter sales. Online customers have a delicate mindset and they have a lot of alternatives available at their fingertips. A minor mistake in the approach and you lose a customer forever. 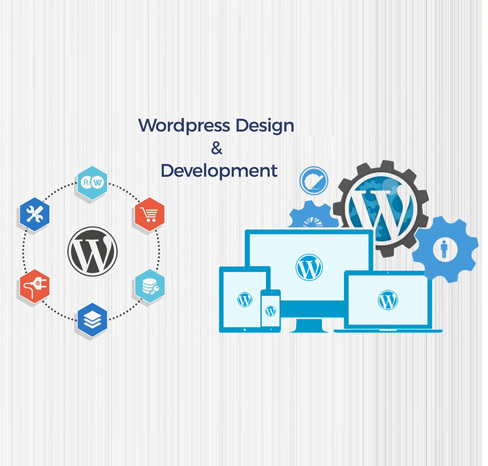 This challenge can be faced effectively with highly compatible and user-friendly Word Press Website Development with rich and unique information about your company and products. You need to identify individual demands that vary according to the geographical boundaries. The demands of your international clients will not be the same as the local clients. A responsive website serves this purpose well. High availability of service Your website should be objected to being accessed by all your targeted online customers. It means that you need to make your site compatible for cross-platform support. A professional Word Press Developer uses the latest technologies and integration for this purpose. A responsive web design service will assure you of optimum compatibility with a range of devices and ISPs. Your Word Press site will also be ultra-light in size so that it loads faster in mobile phones with moderate internet bandwidth. If people find your site easy-to-load and engaging-to-use then they will surely stick to your products as long as you provide them with consistent service.